Here are 19 Toddler Toys that cost under $10. Toys are expensive and you can either make your own. trade with friends or look for ones that are affordable. All of these toys are from reputable and nature-centered companies that use toxic free materials and fair trade sourcing. Several companies have sorts by price. Rosie Hippo sorts by Gifts Under $25; Down to Earth Toys sorts by Toys Under $20 and offers a flat rate for shipping, and My Toy Box sorts by Toys Under $10. 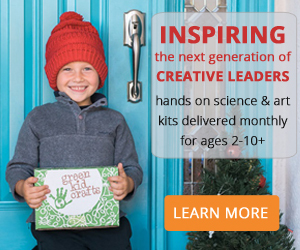 Most companies offer free shipping on orders over $100, but Melissa & Doug offers free shipping on orders over $25. And, one beautiful toy for under $20. Thanks so much for including Sarah’s Silks on your list!! I have been such a big fan of yours, all through raising my three sons, you helped and inspired me! You’re the best! Your silks are classic toys for toddlers and children and my grandchildren love them. Thank you, Sarah. Very cute toys. Such toys are very important for the mental development of babies. Hello Peggy, thanks for giving out such nice suggestions about toddler toys. I like each toys. My girl will recently turn 8 and I’ve been planning to gift her some toys. I’ve decided to gift her “Counting Number Wooden Blocks” it’ll be good for her educational purpose as well.